Jake is our General Manager and comes to us with many years experience in the restoration industry. He's been working hard to build the best possible team for our organization. He has previously served as a Partner and Chief Executive Officer, Chief Operating Officer, and a Senior Consultant a well known disaster and restoration companies and environmental companies. Jake holds Institute of Inspection Cleaning and Restoration Certifications as a Water Damage Restoration Technician, Fire and Smoke Restoration Technician, Carpet Cleaning Technician, Mold Remediator, Air Systems Cleaning Specialist from the National Air Duct Cleaners Association, and also previously within the American Indoor Air Quality Association, a licensed applicator in state pesticides. In Jake’s free time, he likes to go to the lake with his wife and their three wonderful children. And he also enjoys coaching their sports teams. 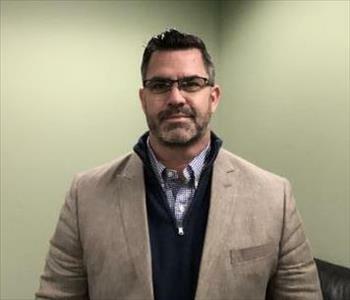 John McKenzie is a Project Manager at SERVPRO of Boston- Downtown, Back Bay, South Boston. He has over five years in the restoration industry. John has attained an Institute of Inspection Cleaning and Restoration Services Certification in Applied Structural Drying. John also served in the United States Marine Corps. He grew up building cabinets & countertops and spent fifteen years in the solid surface industry. He also has over three years of formal plumbing & heating training from a vocational tech school. John is heavily involved in 4-H which is a Positive Youth Development & Mentoring Organization. His hobbies include antique vehicle restoration, animal husbandry, marksmanship, and playing the drums. Daury Medina is a Project Manager at SERVPRO of Boston Downtown/ Back Bay/ South Boston. 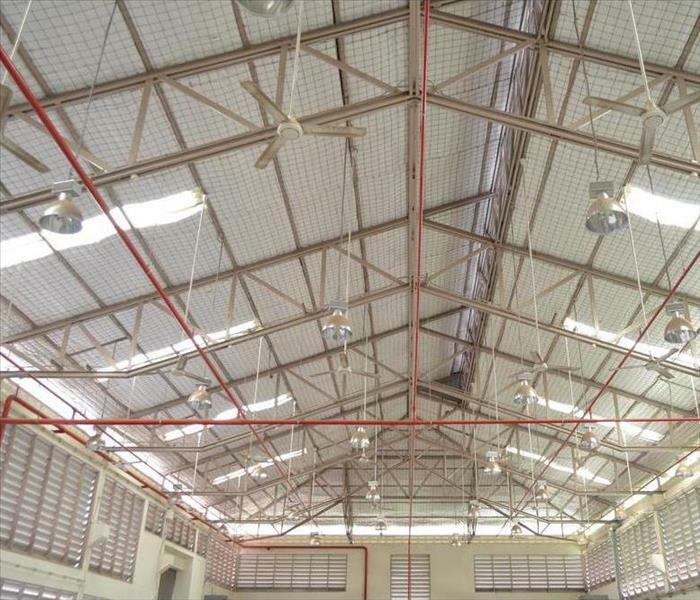 He manages a crew of production workers, ensuring all proper techniques and equipment are applied to get best results for customers' homes affected by fires, floods, and other damaging events. Daury has been on our team for the last 5 years as an accomplished Crew Chief and prides himself on his customer service. Daury completed two years at a local college and now lives in Methuen with his two beautiful children. Daury loves hanging out with his family, playing sports, and relaxing in his free time. 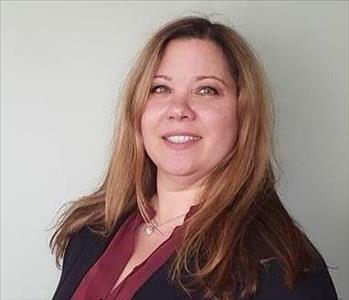 Terrie O'Toole is the Executive Account Manager at SERVPRO of Boston- Downtown, Back Bay, South Boston. 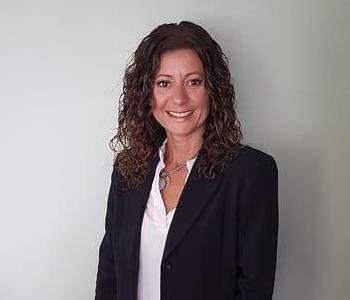 She has been with SERVPRO over four years and has received Sandler Sales Training. Terrie has been involved in three home renovations; from design to construction and finally decorating. Terrie is a member of the National Association for Industrial and Office Parks Charity Committee. Terrie has two sons and enjoys interior design, cooking, reading, the beach, and enjoying time with her friends and family. 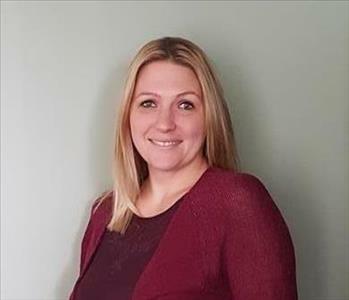 Denielle is a Inside Job File Coordinator and joined our team recently but has previously worked for a California based SERVPRO for over three years and also has experience as a job file coordinator for construction at a flood management company and has her college degree. Denielle lives in Saugus and has been happily married for fourteen years. She has three children, two handsome boys and a beautiful baby girl. Denielle spends all of her available time with her family and enjoys attending their sports and school activities. Her family supports and participates in a lot of military organizations via her husband such as the Marine Corps Honor Fun Run and Veterans parades. Michelle is an Inside Job File Coordinator and has been on our team for over two years and we’re lucky to have her! She lives in Bedford with her husband and two sons. Michelle loves baking & cooking, is a certified Body Jam & Body Pump instructor, and loves to be with her family. 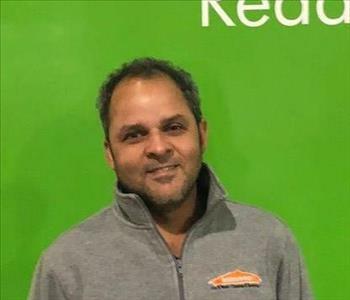 Reginaldo Machado is a Crew Chief at SERVPRO of Boston Downtown/ Back Bay/ South Boston. He communicates with customers while supervising his production crew in completing tasks to industry specifications and customer satisfaction. 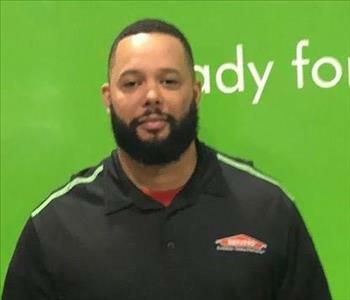 Reggie has been with SERVPRO for over nine years and prides himself on his abilities to provide customer satisfaction, manage equipment, communication skills, and task following as directed. Prior to working on our team, Reggie was a cook at the Union Oyster House for 10 years. He has training in lead as well as OSHA. He lives in East Boston with his wife and their three children and he enjoys spending time with his family, gardening, playing soccer, and watching all sports. 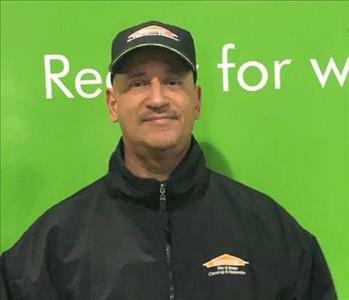 Hector Torres is a Crew Chief at SERVPRO of Boston Downtown/ Back Bay/ South Boston. He manages aspects of job completion, customer questions, and crew performance while performing onsite mitigation of customers' properties. 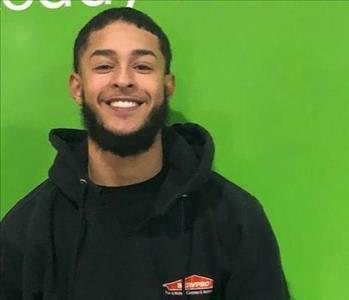 Hector has been a valued member of our team for over six years and has vast experience in all areas but particularly in demolition and general cleaning. 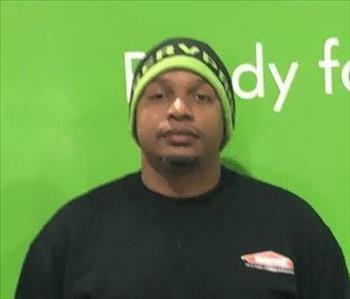 He previously worked at a different SERVPRO and has also worked in construction. He has over ten years experience in this industry. He currently resides in Lawrence and loves to exercise in his free time. 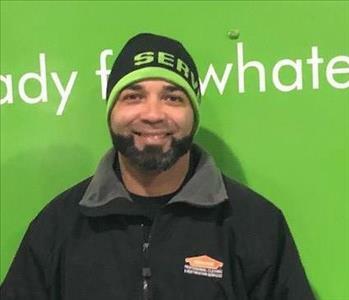 Jose Martinez, Crew Chief at SERVPRO of Boston Downtown/ Back Bay/ South Boston, is responsible for managing the performance of a production crew as restoration services are performed for customers and clients. He is responsible job completion with emphasis on customer satisfaction. 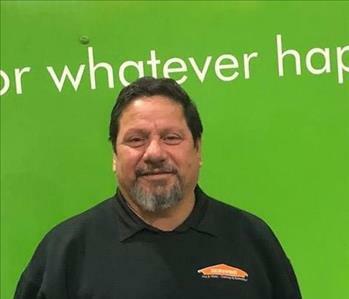 Jose has been a member of our team for three years and his expertise includes water damage restoration, carpet cleaning, fire restoration, and biohazard clean up. Jose lives in Lynn with his wife, children, and grandmother. And in his free time, Jose can be found working out or playing basketball. 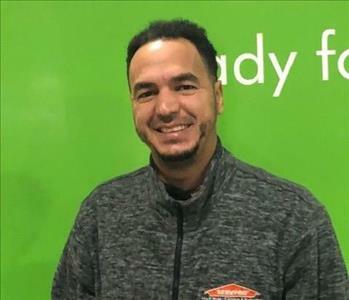 Ismail Ortiz is a Crew Chief at SERVPRO of Boston Downtown/ Back Bay/ South Boston. Assigned to a production crew, he assists with necessary tasks for efficient completion of cleanup and restoration services for people whose properties are affected by damages. Ismael has been on our team for the last 3 years and is an expert in demolition and cleaning. Prior to his position with us, Ismael was a machine operator and even played professional baseball at one point. Ismael lives in Lawrence and has two lovely daughters and enjoys playing baseball in his spare time. 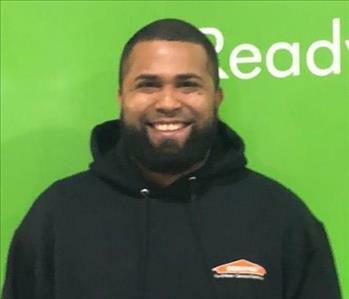 Samuel Martinez is a Crew Chief at SERVPRO of Boston Downtown/ Back Bay/ South Boston. He is responsible for assisting the production crew in completing onsite services with professionalism and concern. Samuel has been a member of our team for over two years and worked for us as a technician before becoming a Crew Chief. He previously worked as a kitchen manager and lives in Lynn, MA. 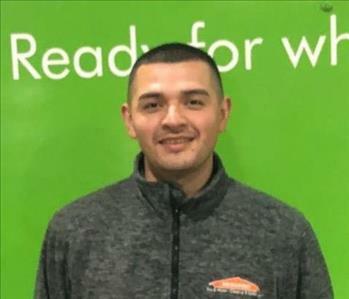 Adrian Quinonez is a Crew Chief at SERVPRO of Boston Downtown/ Back Bay/ South Boston. His role includes making sure all aspects of the onsite job process are completed correctly, with emphasis on customer satisfaction. 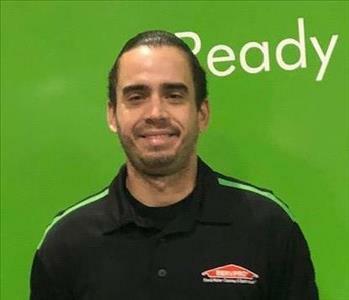 Juan is a Restoration Technician has been on the SERVPRO team for over fifteen years. Prior to joining us, Juan was a driver and has also received his four year degree. He lives in Lowell with his wife, daughter, and son and enjoys spending his time with his family and learning about the United States. Julian is a Restoration Technician and has been a member of our team for the last four years and is an expert in demolition. Julian comes to us from another SERVPRO with Crew Chief experience and also worked in technology, as a chef, and in framing. Julian resides in Lowell, MA and enjoys reading in his free time. Silvio is a Restoration Technician and has been a member of our team for the last year and has been a great asset in our demolition, sewage, and biohazard losses. In previous positions, Silvio has worked in the laundry industry as well as a driver. Silvio has a law degree and a degree in accounting from the Dominican Republic. He lives in Lowell with his wife, three sons, and his daughter. Silvio loves spending time with his family and enjoys watching tv. 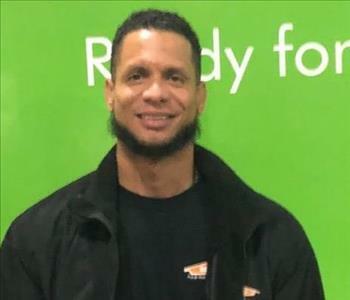 Ricardo Suero is a Restoration Technician and has been a member of our team for the last year and has advanced expertise in demolition, sewage, and general cleaning. His prior experience includes positions in housekeeping, cleaning, and as a technician. Ricardo received his Associates Degree while in the Dominican Republic. He lives in Chelsea with his wife, their daughter, and their son, and in his spare time, you can find Ricardo playing basketball, dominoes, softball, and hanging out with his friends and family. Martin is a Restoration Technician and has been on our team for over a year and is an expert in restoration. His previous experience includes laborer and roles in customer service. Martin lives in Lowell and loves watching sports. 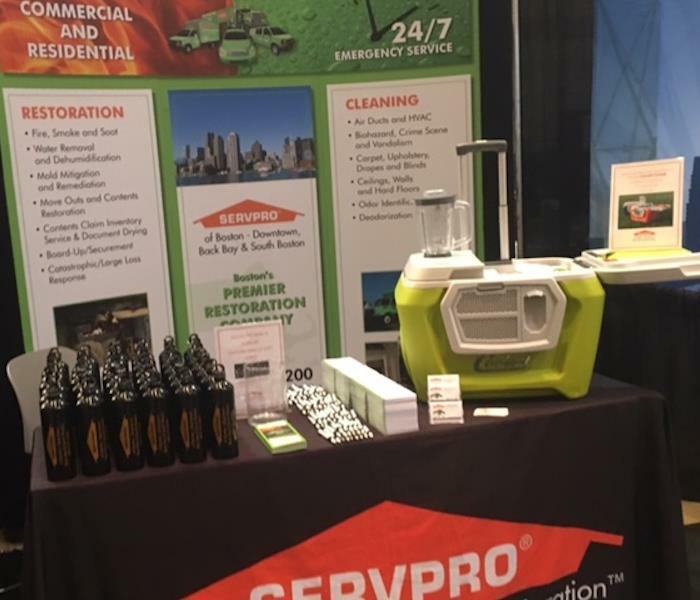 SERVPRO of Boston was proud to exhibit at the 2016 Rental Housing Association Expo in Boston.